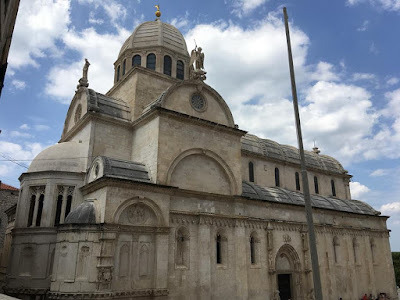 The Cathedral of St James in Šibenik, Croatia, was built between 1431 and 1536, to replace an earlier Romanesque structure. 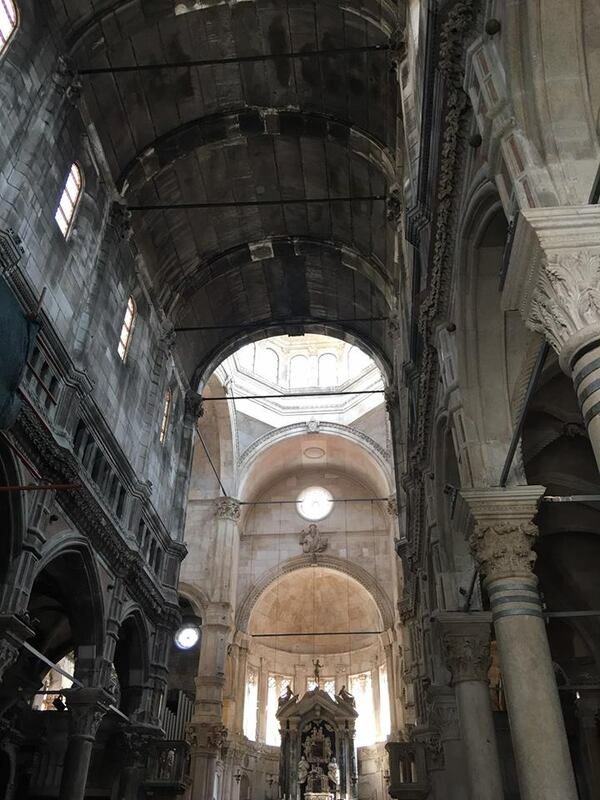 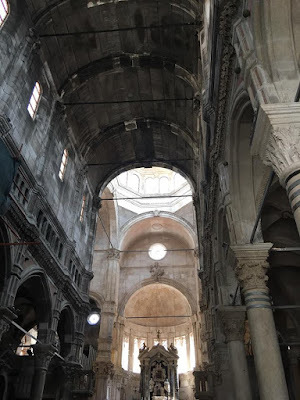 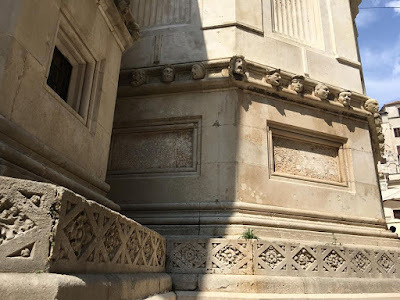 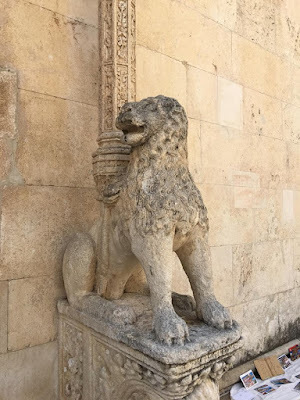 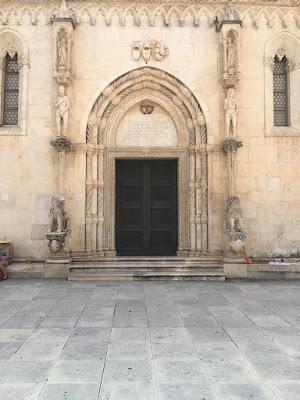 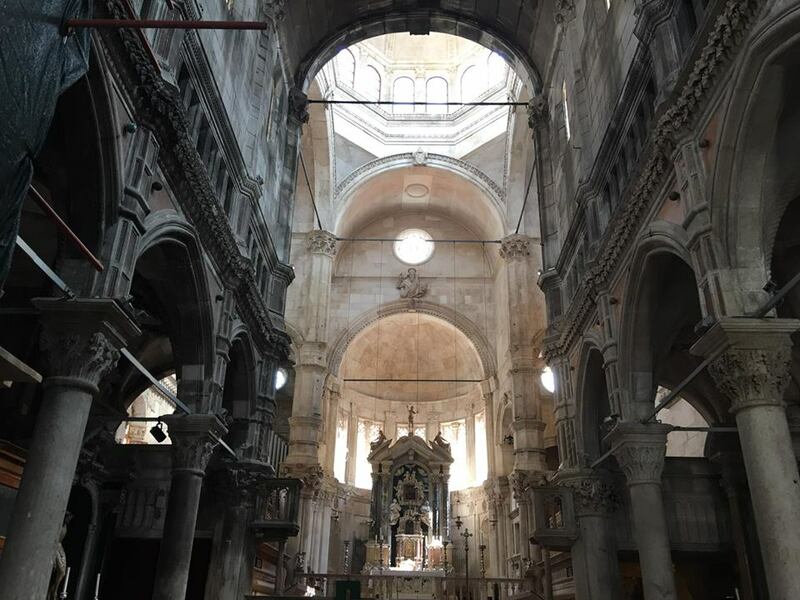 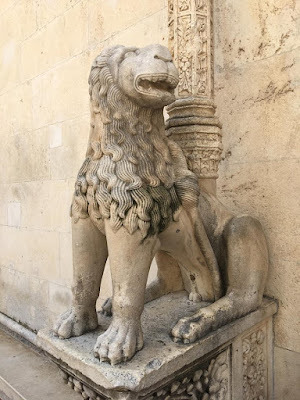 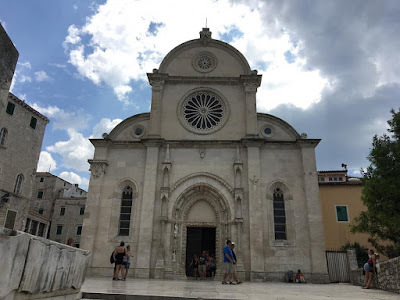 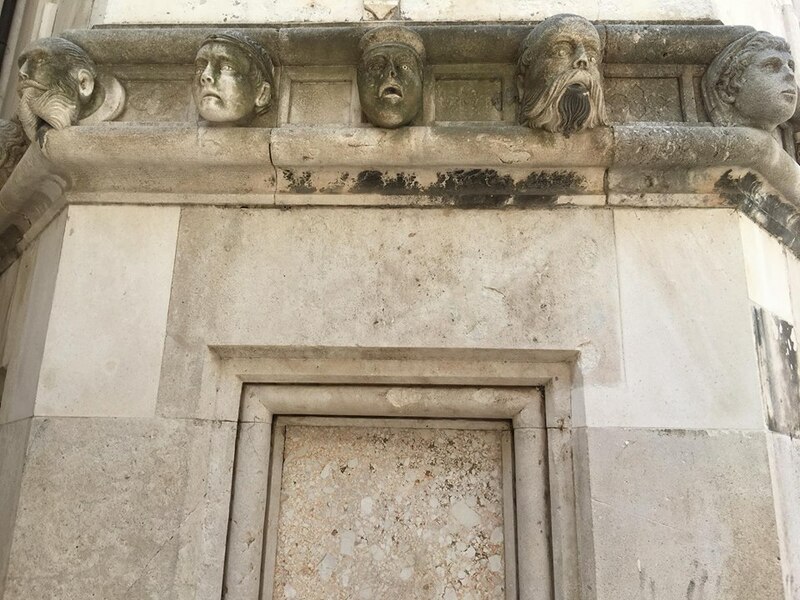 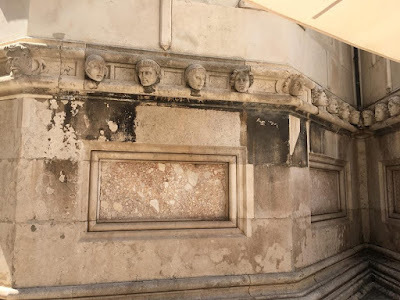 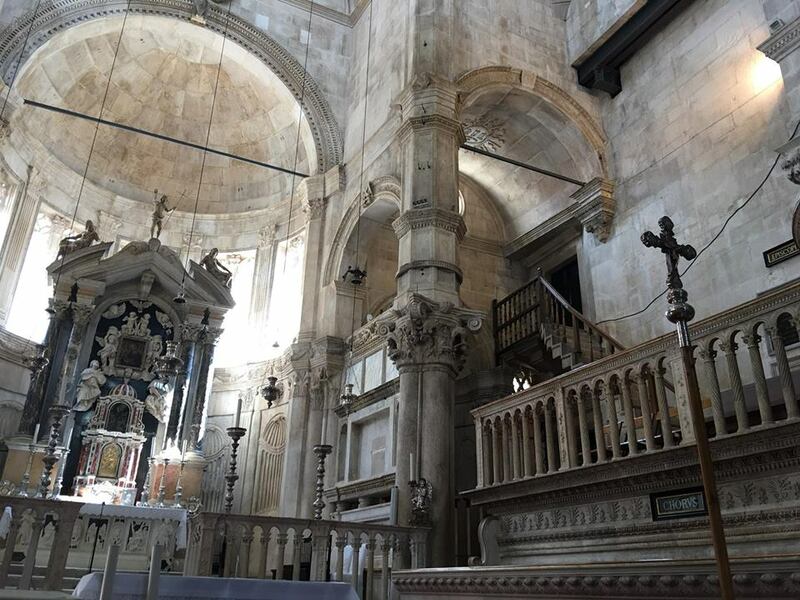 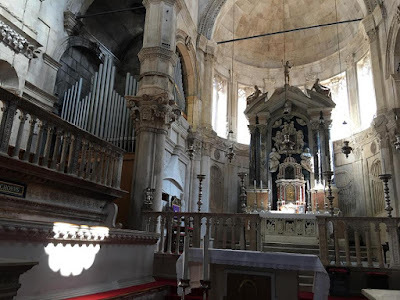 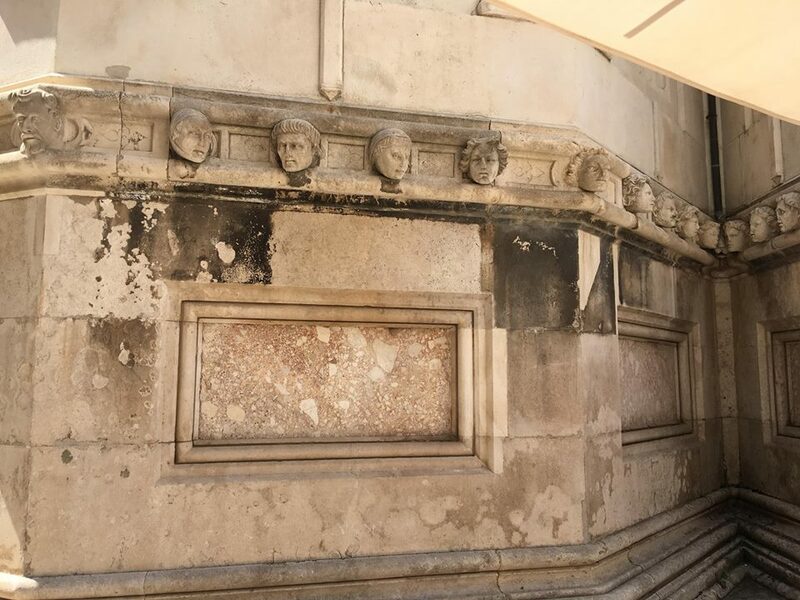 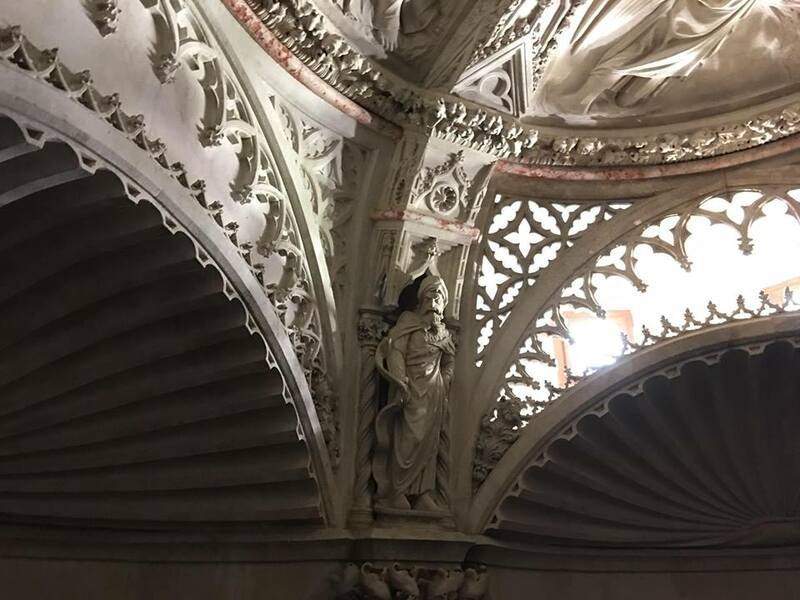 The project was begun shortly after the city, which is on the Dalmatian coast, had come under the rule of the Venetian Republic, and the artistic influence of the Italian Renaissance was very strong on the building, with several Italians working on it along side the locals. 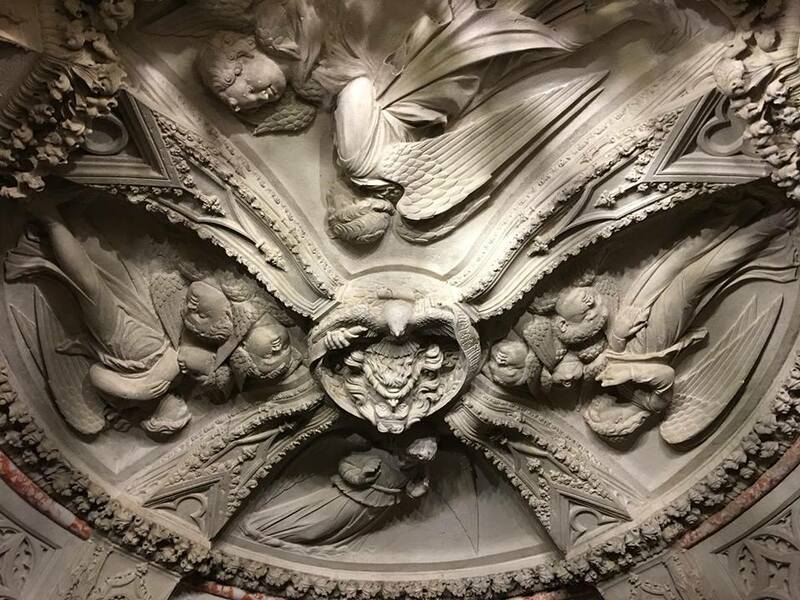 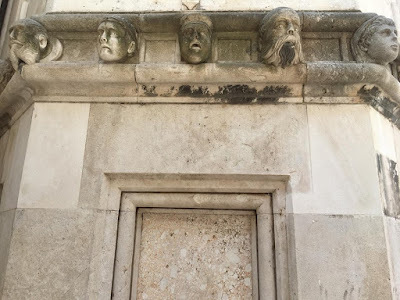 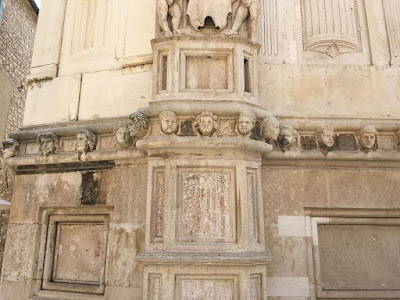 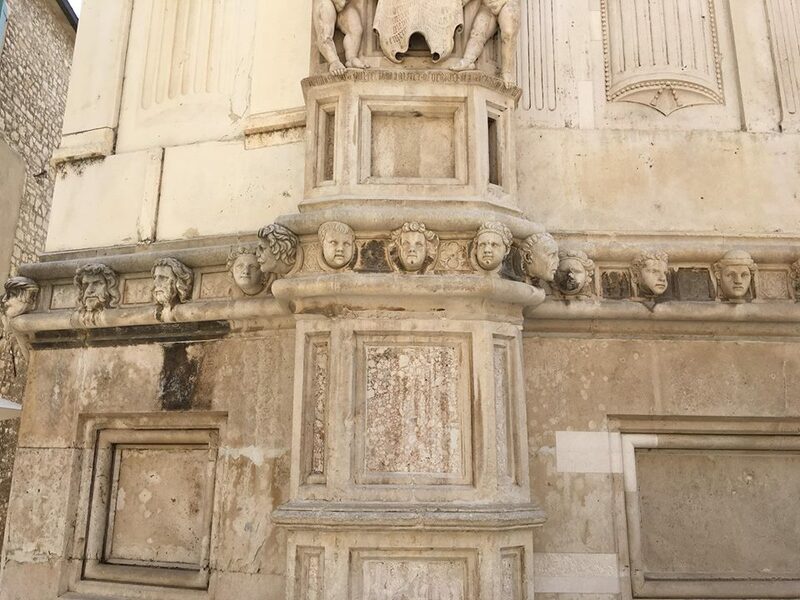 The church has an interesting frieze with carvings of people’s heads sticking out of it, with a wide variety of facial types; it also boasts some major relics of St Christopher, who according to one tradition came from the area. 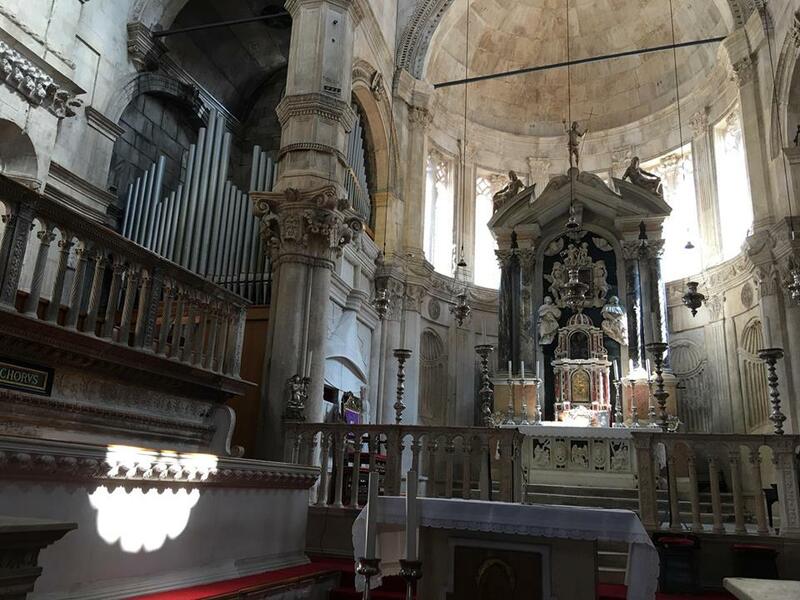 Thanks to Nicola for sharing these pictures with us. Statues of Adam and Eve stand to either side of the northern portal, known as the Lion Gate from the two large lions on either side of the door. 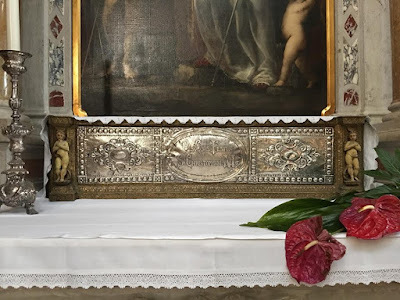 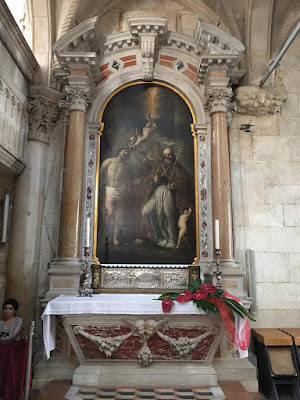 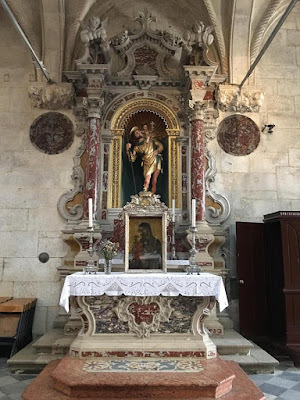 The silver plaque on this altar, shown more closely below, says “the foot, shin and femur of St Christopher the Martyr”, although the Saints shown in the painting above are Ss Fabian and Sebastian, the latter of whom was, like Christopher, often invoked against plagues. 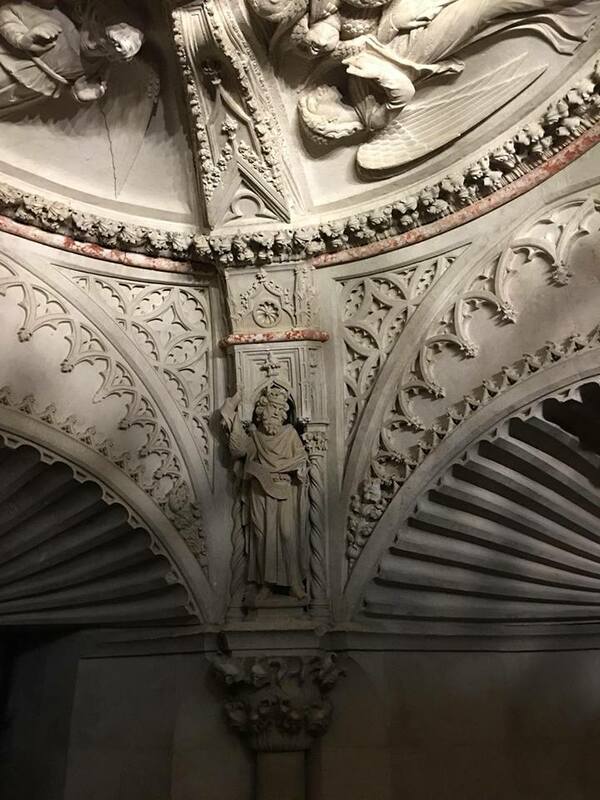 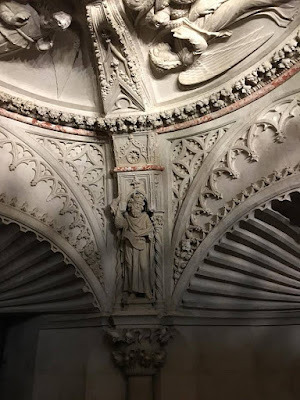 The elaborately decorated ceiling of the baptistery shows the influence Gothic, which was stronger in Venice than it was in most other Italian cities in the 15th century.